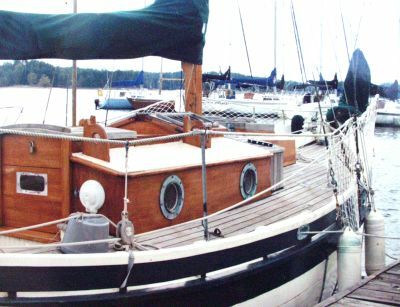 I'm sending you pictures (e-pictures of photographs, excuse the poor quality) of my Amigo Sailboat. 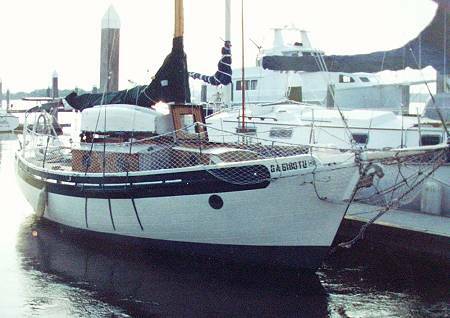 This boat (in my opinion, off course) is very attractive. It is strip-planked with western cedar, epoxy sealed inside and out. Thought you, and also Mark Harmon might be interested. 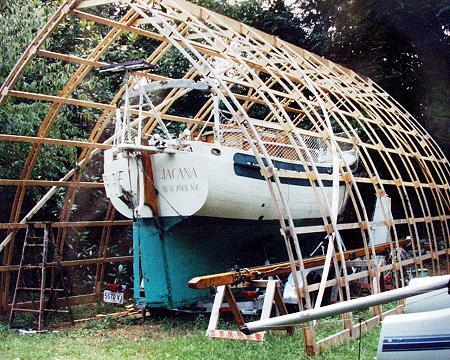 I didn't build this boat. The builder is Bill Stevens of Conn. It was built in 1990. I bought the boat. It is in my backyard for repairs. The deck is being replaced and a few other things repaired.